WHO Planners from the Montgomery County Planning Department worked with a citizen panel, County agencies, and other stakeholders to rewrite the County’s zoning code. The Planning Department then spent 35 worksessions with the Planning Board to further refine the draft zoning code, resulting in the Planning Board Draft of Chapter 59. WHAT In 2007, the Montgomery County Council directed the Planning Department to undertake a comprehensive rewrite of the County’s 30+ year old zoning code. On Thursday, May 2, 2013 the Planning Board voted to transmit the draft zoning code to County Council. View the Planning Board Draft of Chapter 59. WHERE The new zoning code will apply to the entire county, with the exception of municipalities that control their own zoning. WHEN The rewrite project began in 2008 and is expected to be completed by the end of 2013. With the release of the Planning Board Draft, the project has now completed the drafting phase. On May 2, 2013 the Planning Board Draft was transmitted to County Council. The draft, introduced at County Council on May 7, 2013 as Zoning Text Amendment 13-04, Zoning Ordinance – Revised, was sponsored by the Council President at the request of the Planning Board. The County Council public hearing on the project is scheduled for June 11, 2013 at 7:30 p.m. The Planning, Housing, & Economic Development (PHED) Committee are scheduled to begin their worksessions on the draft zoning code after the public hearing. View the project timeline. WHY The current code is antiquated, hard to use, and inconsistent. The zoning code has not been comprehensively rewritten since 1977 and the document is over 1100 pages long. The number of zones has nearly tripled from 41 (in 1977) to the current 120+ and the code specifies over 400 land uses. 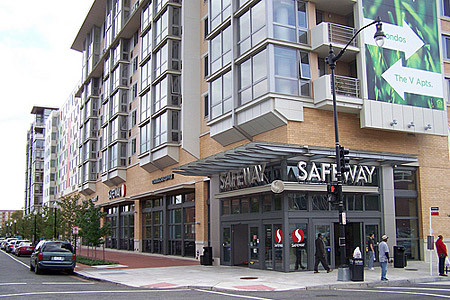 Additionally, with only about 4% of land in Montgomery County available for development, the new zoning code can play a crucial role in accommodating redevelopment to areas like underused surface parking lots and incorporating a commitment to sustainability. HOW The initial sections of the new code were drafted by Code Studio, a nationally-recognized consulting firm. County planners then analyzed and edited those drafts based on feedback from the Zoning Advisory Panel, County agency representatives, other stakeholders, and the public. After an extensive public review process, the revised zoning code was transmitted to County Council, where it will undergo additional review before its adoption and implementation. 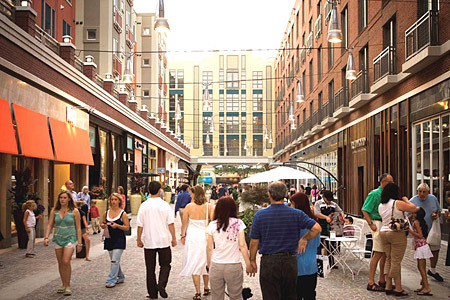 The zoning code rewrite supports more walkable, vibrant commercial areas. Just what is zoning and how does it work? Learn the ins and outs in this 8 minute video.